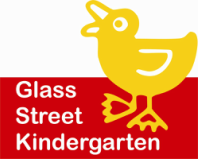 Glass Street Kindergarten is a not for profit community run kindergarten located in the leafy streets of Kew East. We aim to offer a rich and engaging pre-school education program for three, four and five year old children. Our educators are dedicated to creating a learning environment which fosters a strong sense of community. They actively promote and encourage parental contribution and involvement while building strong community partnerships. It is a great place to meet other parents and children in the local area. We encourage parents to be active participants and in doing so visibly demonstrate an environment of teachers, parents and children working together collaboratively. Our landscaped playground is nestled in a canopy of tall trees which provide excellent sun protection in the warmer months. Some of this area is undercover and can be utilised for play during the wet months. Our kinder room features different activity zones. We look forward to welcoming you to the kinder and are sure you will find it a rewarding experience for you and your child. VACANCIES- We currently have some vacancies in each of our 3 and 4 year old kinder groups for Term 2. Please go the our 'Enrolment' section on this website or contact glassstreetkinder@gmail.com. Tours of the kindergarten are available on request, please don't hesitate to contact Sonia or Caroline on 9859 6049 during business hours, or email glasstreetkinder@gmail.com. We hope these tours will support families in the community to make decisions about enrolment and begin effective and beneficial partnerships between the staff at Glass St Kindergarten and prospective families.